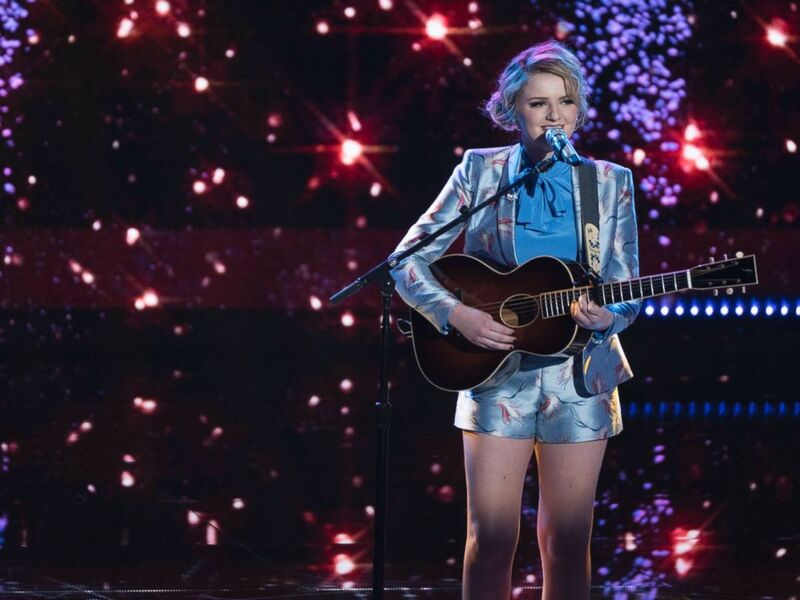 After Monday night's finale, we have a new "American Idol" champion: Maddie Poppe. There's a lot to know about the 20-year-old from Clarksville, Iowa -- like the fact she's dating the show's runner-up, Caleb Lee Hutchinson! Poppe appeared on "Good Morning America" Tuesday and revealed some things about herself, like how this amazing relationship started! Caleb dropped that bombshell last night toward the end of the show. "Maddie's like my best pal," he told the judges. "She actually happens to be my girlfriend." The crowd freaked out at the news. Poppe said she would have been equally happy if Caleb had won. "I wanted him to win, but I really wanted to win too," she said. Caleb said the duo met in January and they were basically inseparable after that. "I saw her and instantly knew I was into her," he said. "If she'll have me, she's the superstar now," he said on "GMA." 2 - She's already released music! In 2016, Poppe "released her very first album of original material called 'Songs From The Basement' which she wrote, recorded and produced," according to her official website. Maddie Poppe performs on ABC's, "American Idol," May 20, 2018. The site adds that she's more than just an amazing voice. She plays several instruments, including "guitar, ukulele and keyboard." If you take a look through Twitter, you'll see A-list singers like Katy Perry (also an "Idol" judge) and Carrie Underwood not only congratulating Poppe, but gushing about her talent. Congratulations, @MaddiePoppe ! What a fun finale! You all should be so proud! Can’t wait to catch you out on the road! Lots of @AmericanIdol ?? tonight!!! Even a former contestant and rival tweeted that she is "singlehandedly the most deserving person for this title and I am so happy. She earned every stitch of it!!!!" Poppe said she's been away from her family since the show started, which has made her "sad," but that the fellow contestants have become like a new family for her. "I made friends on the show, who are some of my best friends," she said Tuesday. "And I know we'll be lifelong friends." Poppe's family also shared a special message with their little superstar on "GMA" -- "Thank you America, for being so good to our little girl!" 5 - Singing is in her blood! Poppe's father is a performer, as well. When asked if she'll take him out on the road with her, she replied, "Of course!" Had a really, really good day today. Doesn't take much to have fun with these two. And she's gonna be so mad I posted this. Love you Emma. ? "He's like my best friend and he wanted this just as much as I have," she added. Remember that 2016 album she recorded? Well, Poppe and her father recorded it together! Hit the back seat, dad. Yo gurls takin' over da city. ??????? ?